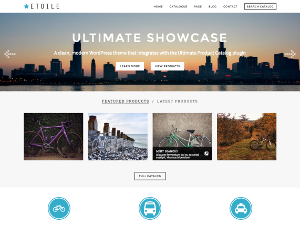 The Ultimate Showcase theme provides a sleek, modern and responsive layout that allows you to display your best work in a clear and attractive manner. This theme is designed, from the ground up, to integrate seamlessly with the Ultimate Product Catalog plugin and WooCommerce. It’s easy to set up and offers you the perfect venue to showcase your products and/or portfolio. 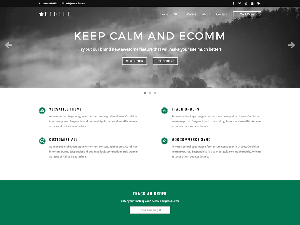 Keep Calm and E-Comm is a clean, responsive theme designed for sites that manage order tracking, shipping and statuses of all kinds. It integrates seamlessly with the Status Tracking plugin as well as with WooCommerce. It’s easy to set up and offers the perfect interface for your customers to place and track their orders.